Last Saturday I ran my seventh race this 2016 year. I’ve been awarded in each those races as a top female runner in my age category and twice I’ve been a top female overall . After an initial evaluation, my physical therapist !strongly! recommended that I try the Whole30 diet. Again, my initial thought was “My diet hasn’t changed what could it have to do with my fatigue?”. As it turns out, it has a significant impact. Fortunately, my wife agreed to do the Whole30 with me and we targeted this past January as the month to try it. Both before we started the Whole30 and during its 30 days, they provided a lot of useful insight and suggestions on how to prepare for and STAY on the diet. Along with the diet, he suggested some yoga and light workout routines to help relive stress and improve overall fitness. After three weeks on the diet, I noticed that I felt better, that my energy level was more constant throughout the day and that I had stopped taking 1-2 hour naps in the afternoons and sleeping 9-11 hours at night. The Whole30 and light exercise are now an ongoing process for me and after two months has resulted in weight loss, significantly improved cholesterol numbers and overall improvement in my energy level. I want to be clear: I still have chronic fatigue. I’m not cured. However, my physical therapists insistence that I try the Whole30 has made a world of difference for me and my wife. The diet is allowing us to *manage* my fatigue at a level that is far, far closer to normal than anything in the past 2&1/2 years. With the improved energy level, I am now back to exercising and expect to see gradual improvement going forward. Thank you LeBauer Physical Therapy for listening, for working with me to figure out what was wrong and for insisting that diet could be a part of the solution!!! Seeing my therapist at LeBauer Physical Therapy has been a lifesaver and saved me from having a surgery I did not want but I was not finding any relief from the pain and tingling. I was at the end of my rope and on the verge of scheduling the surgery. My sister recommended them to me and I am so glad I called. The treatments I received provided the relief from my pain. I first came to LeBauer Physical Therapy in October of last year. At that time I was limited in what I could do in my daily activities from the pain in my arm and neck from my herniated disc. I had tried many different forms of treatment- traction, physical therapy, and epidural cortisone shots. All of those relieved my symptoms some but not to the lasting effect that treatment from my physical therapist has provided. I had pain in my neck at about a 4 out of 10, unrelenting aching/ burning pain in my upper right arm, my arms went numb when I would sleep, and I was unable to exercise or read a book. The myofascial release is a godsend. My PT is very knowledgeable, understanding, and explains things in a comprehensible manner. He has a very calming demeanor and quickly put me at ease. Since I have been seeing him, there has been a 180-degree turn in my life. I am now completely back to my old life. I have no trouble with daily activities; I can exercise, read a book, and sleep with ease. The pain in my neck is gone. The pain in my arm is gone. The numbness and tingling has vanished. I regained range of motion in my neck that I thought I had permanently lost. I am so thankful I found LeBauer Physical Therapy. They have given me my life back. If you are in constant pain, give them a call. You won't regret it!!!! "I first came to LeBauer Physical Therapy with a chronic elbow pain that prevented me from playing tennis, golf, doing pull-ups, etc and it kept me up at night. I was in physical therapy, received a cortisone shot and had an MRI. Nothing helped after 6 plus months of treatment. My physical therapist at LeBauer PT introduced me to a different way of thinking about injury and suggested that my injury had healed but my brain was still sending pain signals. He implemented a plan to retrain how I think about injuries and pain and things instantly got better. I started to resume activities that I love and now we have transformed my body from someone who's muscles were completely bound up and in chronic body pain/spasm to someone that is enjoying sports like soccer and golf that I have not played in 20 years due to pain. I appreciate LeBauer Physical Therapy's approach to injury as they treat the mind and body and gave me the tools to treat myself which is rare in my experience with health care. I enjoy saying that they have definitely changed my life! "I came to see LeBauer Physical Therapy after 9 years of numbness and a tingling sensation running from my neck, through my arm, to my bottom two fingers on my hand. I had gone through physical therapy, rolfing, and acupuncture and nothing seemed to permanently cure it. It was affecting my ability to work on a computer and limited my ability to play tennis. Thankfully after working with my physical therapist at LeBauer PT, I am more comfortable throughout the work week at my computer and I have been able to begin playing tennis. They have done a fabulous job and I highly recommend LeBauer PT." "I have worked with my physical therapist at LeBauer Physical Therapy on two occasions, once for knee issues and once for a case of whiplash. Years of cycling (when plenty of crashes) and running had left my left knee tracking poorly, in pain, and wobbly. Additionally, one bad water park neck injury that was ignored had left my neck and chest almost immobile and in constant pain. Both injuries I had sought treatment from different physical therapists, acupuncturists, and massage therapists and had been left dissatisfied and not healed. Coming to see LeBauer PT was like a breath of fresh air. Their approach to treatment and understanding of the human body is second to none. With both injuries, my PT would treat not only the area itself but would find the source and treat everything in-between. Their full-body approach and understanding of the interconnectedness of the tissues and tendons of my body was unlike anything I had ever experienced. I would feel amazing after each and every treatment, both physically but mentally. My PT's ability to release tension, open joints, and heal injuries was coupled with a healthy dose of positivity and empowerment. Additionally, the assigned at-home exercises were simple, gentle, and effective, making home therapy pleasurable and not a chore. I now incorporate many of these stretches and releases into daily routines as preventative maintenance or as recovery after long bike rides. Go see LeBauer Physical Therapy! I recommend them to everyone I know suffering from chronic or nagging pain. While we all want to limit and prevent all future injuries, the reality is we play hard and get banged up often. There is no reason to be in or stay in pain, and LeBauer Physical Therapy will help. " "I came to LeBauer Physical Therapy for various problems I was having. Aching in my knees, clicking in my hips, pain in my legs when I got up from sitting, pain and lack of range of motion in my back, needing to open my hips, and random pains I get from falling when figure skating. From the first visit, I felt a difference in my body. I had no idea how much tightness I had in my back, hips, and glutes. They gave me homework to do and I was very consistent. At first, it was a little hard for me to slow down and take the time out for myself, but I quickly got used to it. After the first week, I made some serious realizations about myself not only physically, but emotionally. I felt guilty taking time out to make myself feel better, always thinking there was something more important I could be doing (i.e. working, cleaning, etc.). Working with my PT made me start to take more value in my well being. Every week, he would work on a new spot in my body, and give appropriate homework to go along with it. They were always so patient with me and took the time to explain how to properly do exercises/movements and what it should feel like. During most of our visits, I asked so many questions, and they always had an answer or solution. They even took the time to understand my physical needs for my figure skating hobby. Since being a patient at LeBauer Physical Therapy, all of the problems I came to them for are basically gone. I still have to remember to use proper form when walking or standing, but I'm sure that will be natural soon. The thing that I love the most is, I had some pains that I didn't even realize I was having until they were gone. I am sleeping so much better because I don't wake up from having any pain. Now we are maintaining my improvements and working on improving my figure skating moves. I still want to increase my range of motion in a lot of areas and I am excited to work with my therapist at LeBauer Physical Therapy for a long time." "On the off chance you are skimming this review for the first initial statement, I want to be clear right off the bat -- LeBauer Physical Therapy are exceptional at their job. I went to LeBauer PT for a truckload of issues. When I arrived I had problems ranging from Costochondritis to a metatarsal ligament injury. I was a mess to say the least. I had been to see "specialists" on different issues with very little help. I was offered everything from shrugs on shoulders to narcotics. I didn't want drugs or surgery -- I just wanted to be strong again. Coming from a fitness background, my lack of freedom in movement was as depressing as it was painful. My sessions with my therapist at LeBauerPT were life altering to say the least. The work he did in the office is brilliant, to say the least. The homework he assigned and lessons in firing muscles was equally important. In short, if you embrace their treatments wholeheartedly you will receive tremendous benefit. From a professional point of view, I am in the fitness industry as an author and trainer. I have seen many seminars, heard many physical therapists speak, and was already familiar with the type of work LeBauer Physical Therapy provide. Let me assure you, you can understand these things, and you can earn your degrees, but there is a passion, science, and art to healing the body -- my therapists understands them all. A physical therapist of his caliber is a rare find and man am I glad they iare in Greensboro. You won't be disappointed in their treatment or your general experience. Don't minimize the importance of taking care of your body. Don't wait -- get your problems looked at and feel better again (or perhaps for the first time)." After seeing my therapist, my pain got worse before it got better, but each day it was clear that it was improving. Today - only 4 days since he worked with me - my shoulder is pain free. I've been putting it to the test too: vacuuming, mountain biking. Pain free! Sweet. Thanks, LeBauerPT!" "I came to LeBauer Physical Therapy for pain and stiffness from Scoliosis that was greatly interfering with daily activities. I experienced great relief after the first session. My therapist provided compassionate and skilled care while educating me about my body and how to care for myself. With a series of 6 sessions, I found the pain and stiffness was so much better that I was then able to focus on strength training exercises to continue my improvement. I highly recommend LeBauer Physical Therapy to anyone who is dealing with skeletal and muscular issues." "Dr. Aaron LeBauer did his clinical and business development rotation with our group in 2008. I found him to be a gifted yet grounded clinician and healer, and an excellent instructor for other doctoral students and staff. He uses evidence based methods to treat patients, and is open to new technologies and techniques as well. I believe Aaron will certainly make a tremendous positive impact in the lives of many patients, as well as the medical community in which he will serve. We miss his presence at our practice, but his contributions here will be echoed for years." When I began physical therapy with my therapist at LeBauer Physical Therapy, I was experiencing lower back, hip and knee pain that was causing a decrease in my quality of life. Frequently I would get out of bed in the morning with lower back pain and I began to experience it almost constantly while driving or sitting for long periods. 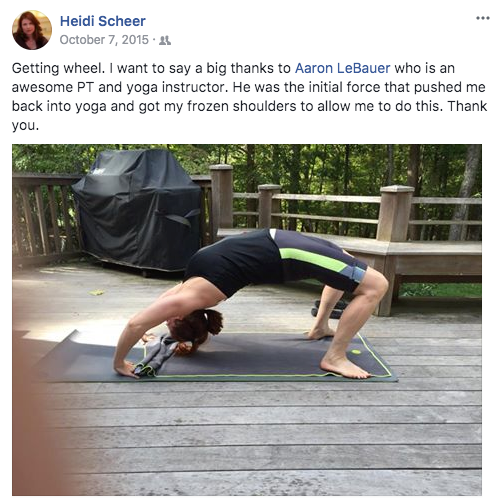 My attempts at "fixing it myself" by tweaking my yoga and exercise practices were not having lasting or consistent results, so I contacted LeBauer PT. Upon our initial consultation, my therapist quickly diagnosed the source of my physical pain as a misaligned pelvis. 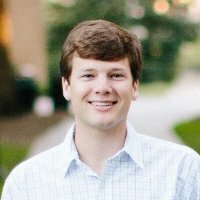 Each time I visited LeBauer PT for a treatment session they used myofascial release techniques that were very gentle, more like massage than what I imagined physical therapy to be, but each session brought about incremental changes in my structure that would ultimately effect long term positive results. In addition to the immediate pain that brought me to LeBauer Physical Therapy, they were also able to release the trauma of prior injuries, some years old, that were causing my fascia to constrict and cause pain. The staff at LeBauer Physical Therapy are very professional, kind and knowledgeable. Their goal is to help you return to good health, pain-free, and remain there by following very simple home treatments you can do yourself. I am now pain free and have a good understanding of how to remain that way in terms of my skeletal alignment and fascia release techniques I do at home. I recommend LeBauer Physical Therapy highly and without reservation. "When I first came to LeBauer Physical Therapy I was in constant pain and frightened that I would have the pain the rest of my life. I had suffered a ligament tear/sprain in my back—doctors just told me to wait, take more pain killers, maybe get an MRI and maybe have surgery. I tried regular physical therapy, but I saw different therapists every time and the sessions provided no relief. Within just a few sessions my therapist at LeBauer PT had me on my way to recovery. He not only helped me through the emotional turmoil of a debilitating injury, but instantly put me on the path back to my active lifestyle. Each session he taught me exercises that strengthened my areas of weakness, while practicing MFR to decrease my pain little by little. He taught me how to listen to my body, and to not judge the pain, but roll with it. He also taught me techniques that I can use myself, so that I am now less reliant on someone else to “fix” me when I am in pain. Working with LeBauer Physical Therapy, has, and still is, a constant learning journey of understanding what my body is going through and telling me. They have been a solid source of help and information throughout everything. I would highly recommend LeBauer Physical Therapy to anyone with any type of injury." "Seven months after foot surgery, I was still experiencing pain, swelling, and lack of mobility in my left foot. My therapist at LeBauer Physical Therpay assessed the problem and together we established a plan to help me return to the activities I previously enjoyed. My progress has been steady and with my therapists' skill and encouragement, I am back in my yoga and exercise classes, and once again, able to enjoy long walks in my neighborhood. Myofascial Release has also helped with my chronic shoulder and low back pain. Thanks to LeBauer Physical Therapy I have my active life back and as an added plus I have lost 12 pounds!" "About two years ago, my primary care physician directed me to LeBauer Physical Therapy for treatment of chronic pain due to fibromyalgia and spinal misalignment. I found my therapist to be highly skilled and intuitive at knowing what my taut muscles need to bring high pain levels down to a much more comfortable level. By following his self-treatment guidelines and having regularly spaced visits, simply stated, I have a better life. After a 15 year search for pain relief, I am very appreciative of LeBauer PT and am fortunate to be under their holistic care." When I first visited LeBauer PT, I was experiencing so much pain that I couldn’t sleep at night because I could never get into a comfortable position. My range of motion was so restricted that I couldn’t stretch or exercise. Over the course of treatment, through using myofascial release and also through instructing me about how to stretch properly and which exercises would help me, my therapist at LeBauer PT brought me back to feeling healthy, freed me from pain, and taught me how to stay feeling that way. "Several months after having extensive foot surgery, adhesions were preventing full use of the big toe, and the adhesion on the outside of the foot had episodes of burning. After the first session with my therapist at LeBauer Physical Therapy, the adhesion on the big toe joint was noticeably reduced. He gave me Myofascial release techniques I could do at home. I would urge anyone who has surgery to see LeBauer Physical Therapy for tissue release of the incision site at the same time they start physical therapy. Another issue with an aching back was completely relieved for several weeks. Now when the aching returns, I use a small ball for release of the tight muscles, which again disappears for several weeks." I am extremely pleased. I feel so much better. Also, I have learned much about pain and how to cope with it, and to lessen my pain. This has been a wonderful experience. I cannot praise LeBauer PT enough. My therapist is a miracle worker. "LeBauer Physical Therapy is awesome! I fractured my arm and when my physician removed the cast I no longer had full range of motion. My therapist performed his doctor "magic" and within 2 days I was relatively free of pain and could put my arm through the full range of motion. I highly recommend them and most of all, greatly appreciate my therapist's help. A 'Healer' to be sure! "LeBauer PT provided wonderful care. My therapist took time to talk to me and assess my back pain when I first visited him. From that point on he always actively discussed my pain and used the discussion to guide my treatment. When I first contacted LeBauer Physical Therapy I had a lot of pain and discomfort and was not able to sleep. Now after a few visits I am pain free and back to a healthy normal and active lifestyle, and I am continuing with the prescribed exercises at home, which are terrific!" "I came to see my therapist at LeBauer Physical Therapy in a lot of pain from a torn hamstring that would not get better. After a couple visits where he did very precise myofascial release techniques, I was feeling so much better. My range of motion improved, pain lessened, and I was more flexible in the area. He even found out that my injury was complicated by another condition I didn't know I had. They treat the whole person and are extremely knowledgeable, professional, and friendly. My superb therapist at the clinic also gave me numerous exercises to do at home to keep the healing going. His hands are truly healing! I love that he is trained in BOTH massage therapy and physical therapy so that he has the knowledge and skills to treat everyone holistically. I highly recommend LeBauer Physical Therapy - you won't be disappointed." I was referred to LeBauer Physical Therapy by one of my physicians after I experienced numbness and tingling on the left side of my face and along my left side and left upper and lower extremities. I also experienced moderate to sometimes severe pain in my neck, back, hips and legs, which prevented me from walking even moderate distances without medication. The discomfort, at times, was almost unbearable. My household duties were never completed without assistance from others. I am a nurse by profession, and I am employed on a part-time basis. I found it more and more difficult to perform my assigned duties, and most of the time was not able to remain on duty for more than five hours, two or three times weekly. My rest was interrupted due to numbness, spasms, or and “aching” sensation in my neck and back. After receiving physical therapy at LeBauer Physical Therapy, I have obtained relief from some of the discomfort I had been experiencing. At each office visit, my therapist was eager to know how I had been feeling between therapy sessions, and if I felt that the therapy I was receiving was effective. My therapist never made me feel “rushed”; and he was an active listener always willing to answer any questions and address any concerns I might have regarding my progress during therapy. Each week I discovered how my pain, discomfort and numbness seemed to improve with each therapy session; and soon I was able to walk longer distances, sit or stand longer and more able to perform my household duties and complete my nursing responsibilities more easily. I was introduced to various methods of treatment, along with skills and techniques to assist me in self-treatment at home. I am pleased to report that my chronic numbness has subsided, and the pain and discomfort in my neck, back, hips and legs have improved with therapy. I am now more able to tolerate the daily activities in my life. Thank you, LeBauer Physical Therapy, for directing me in a treatment plan which has allowed me to begin a recovery process for which I am very grateful. I thank God first of all for this healing process; and for allowing you to assist in helping me achieve a goal I was not sure I could reach. "I came to LeBauer Physical Therapy after being told by an orthopedist that I had Patello-Femoral Syndrome and that my love of cycling would have to be severely curtailed. Understandably, I was devastated. After only one visit, my therapist not only found the real source of the problem (scar tissue above the patella), but began myofascial massage to break up the tissue. He also found the root source of the problem to be my back misalignment, and gave me exercises to correct my posture. Slowly but surely, I started to cycle again without pain, and have been pain free to this day, cycling stronger than ever before. I owe it all to LeBauer PT, and never hesitate to refer them to anyone experiencing pain while cycling." “I have had a chronic, though off and on, sciatic problem with accompanying Piriformis pain for about nine years. Unfortunately, the “on” periods have gotten longer and closer together. Insomnia is my friend, especially this last time – it was a doozy! So I decided to try Myofascial Release after reading and hearing about it. "I have had very few back issues over the past 30 years, but when I did, I always felt disappointment in the professional treatment I received and just out lasted the problems on my own. My experience with the LeBauer program has been an eye opener for me with 100% satisfaction. LeBauer Physical Therapy's hands on approach for treating pain using only your body's natural muscles without the use of pain killers and muscle relaxers does indeed work. In December 2010 I visited my Family Doctor with back and groin pain. Medication and an MRI later, the same pain with no relief. January 2011 brought on another visit to my family doctor with additional medication, a negative urine test, and the same results. Spending another Sunday seeking relief, I remembered reading an article several months ago about the LeBauer Physical Therapy practice. With a little looking the next day I found the name and phone number for the practice and to my surprise, Dr. LeBauer answered his own phone. Four treatments and 5 weeks later I feel great. Their therapists not only treat you during your therapy session, but they also give you the knowledge to carry on the treatment at home for maintaining a life free of back pain. Many thanks to LeBauer Physical Therapy! With two surgeons....one local and one from Duke telling me I need to have two or three discs removed and surrounding vertebrae fused...ouch... I went looking for alternatives. My previous primary care giver's advice was to have the surgery. My pain level was a solid 8 to 10 and is now a comfortable 2 to 4 in less than 6 to 8 weeks. My satisfaction with the following is 100%! If he cannot help you he will tell you. His goal is the patient. I have never met anyone that cares more and champions the patient first more than Dr. LeBauer and his team at LeBauer PT. They have gone way above the normal to help me research my condition and alternate solutions. I had asked/begged my previous Doc to help me find other options.....nothing but silence. My therapist has helped not only with physical therapy but with education and exercises to help my body learn correct spinal alignment. Heck....I had no idea that I was part of the problem!!! Thank you Dr. LeBauer for caring; I hope others will read this and consider your services. "I found my therapists ability to quickly diagnose the root causes of my discomfort to be remarkable, as was his ability to alleviate it with a combination of in office treatments and at home exercise. After trying a number of other alternatives, I finally was able to get relief from my symptoms." "LeBauer Physical Therapy and their therapeutic expertise have been my most successful and encouraging experience with healing my chronic neck pain. My abilities to manage my pain, which has decreased significantly over the last 8 months, have improved. I will always be grateful to LeBauer P.T." "Before receiving myofascial release treatments, I was unable to run a quarter mile without severe pain in my shins and calves. Now, after only seven sessions, I am able to run two miles virtually pain free. Not only have I noticed a significant improvement while running, but I also feel much better overall. I would strongly urge anyone with pain and/or mobility issues to look into myofascial release as a treatment option. The difference has been remarkable." 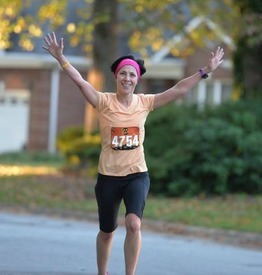 "Because of LeBauer Physical Therapy, I was able to run again. My body was misaligned secondary to muscle imbalances and required some serious attention in order for me to continue with my recreational habits and quality of life. If it were not for LeBauer P.T. and my therapist's healing touch, I would not have been able to complete my first marathon nor be able to continue to reap the benefits of exercise for my psychological, emotional, and physical health for years to come." "I left every session feeling more relaxed and free of pain. Over the course of my six weeks of treatments, I would go days without pain. For someone with scoliosis of my curvature this was great news and so relieving. I was a freshman at UNC at this time, in a new college experience with a different lifestyle than ever before. I was constantly moving, walking to go anywhere, carrying a book bag with heavy loads and sitting for hours on end. Needless to say, my body and back were not used to this. To have these treatments and exercises to do, to help deal with the pain and lengthen me out if I ever felt tense, was a great resource to have. It was worth the drive every time I went. I only wish that I had the time now to drive every week to have treatment sessions." "I was initially drawn to Dr. Aaron LeBauer because of his background as a cycling racer. As a cyclist myself, I knew that he would have an understanding from that perspective of my specific areas of pain. He was able to help me with my shoulder/neck and lower back pain. After each session/appointment, I would find that the next day I am able to move with greater mobility and less discomfort. I could get back on my bike! My therapist would make recommendations for continued stretching exercises that would help with my lower back. I love the “Dora” ball he gave me to help my back. My therapist at LeBauer P.T. had a wonderfully kind demeanor, a very compassionate personality and really cared about me as a patient and as a friend. I feel that I have greatly benefited from this type of therapy and will continue in the future." The best advantage of this treatment is that I have learned to treat myself with stretching and exercises with the therapy ball. I still get pain but now I can deal with it. I still have a way to go but I am getting there.